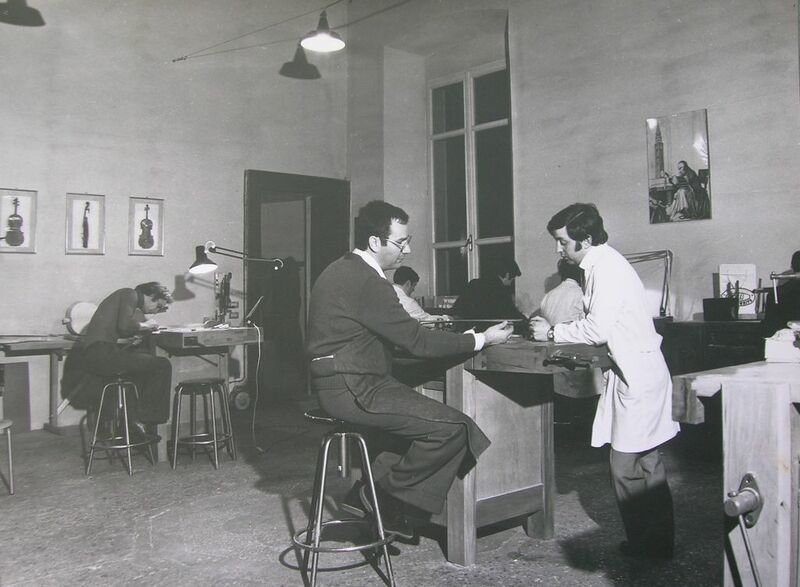 This is the story of our workshop and of Maestro Giovanni Lucchi, our father, who created it. As a musician playing the double bass in various orchestras in Italy and abroad, Giovanni Lucchi found himself at about the age of 30, having to replace the horsehairs on his bow by himself, as there was a lack of bow makers. It was a task that had to be done, one those things that one often finds oneself having to do. We Italians have a spirit of DIY within us, which leads us to turn our hands to pretty much anything and always see opportunities to try out new thingsin the situations life presents us with. With a little basic advice from the violin maker Otello Bignami so as not to leave things too much to chance, the bow was fit for purpose again. But he was not the only one to require the work of a bow maker, as shortly afterwards orchestra companies and fellow musicians were asking him to repeat what he had done, with their bows, and all of a sudden his name, his availability and skill led him down this path. Curiosity did the rest and after a short time he found himself in the workshop of the bow maker Siegfried Finkel, in Switzerland, for a 10-day period, working with wood and transforming a simple pernambuco wood stick into a musical bow. 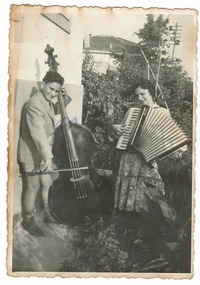 It was with enthusiasm that he showed his first bows to the violin maker and bow maker Arturo Fracassi, in Rimini, from whom he hoped to learn some secrets of the trade, and was also pleased to be made aware of his abilities. Within a short time, curiosity was replaced by a real passion: for wood, for horsehair, for the different ways of working, for the infinite varieties of sound that could be produced. And each test, each attempt, each experiment with different materials led to a result, which in turn opened the door to new studies, to ever greater knowledge. 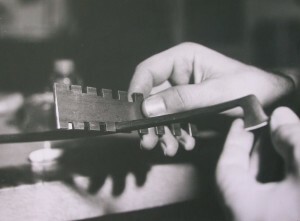 In 1976 he received the offer of a job teaching in Cremona in the first school in Italy for bow making, set up by local institutions, and this gave him the opportunity to continue doing what had become by this point a real profession and to satisfy his need to share everything he had learned, discovered and tried out. He never abandoned research, and his experience as a professional musician pushed him to achieve the best possible acoustic result: any path could be followed if it led to high sound quality. So he quickly turned to science in order to find concrete answers to his experimental discoveries, to investigate the causes of a result that often appeared to be clear. So it was that he patented the LucchiMeter, the tester that measures the acoustic properties of materials and he invented LucchiSound, which identifies the important harmonics that produce “beautiful sound”. Nowadays Maestro Lucchi is no longer with us but, along with his bows, he has left to our children, who carry on his work for and with him, his philosophy of life and work, his openness towards others, his determination to choose the right materials, his constant research for the finest quality.